Here We Gove Again – Michael’s response to critics: you’re all lefty Marxist old trots, so there! COMMENT – He’s been at it again, hasn’t he? The current secretary of state for education, who clearly feels that a week when he isn’t making the headlines is a week lost in the pursuit of power of an even greater kind, wrote the kind of article for that most balanced of papers, the Daily Mail, that can’t fail to get the semi-literate posting their agreement underneath. I always enjoy it when articles on education appear in the Mail, because the usual crop of “Teacher’s is rubish” (sic) appear, often accompanied by claims of how well the author did in life despite his or her appalling performance in public examinations. He’s levelled such an accusation at his critics before, of course. 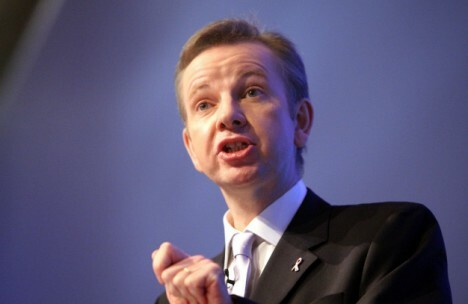 For example, faced with determined resistance, by the governors and parents of Downhills primary school in Haringey, to his decision to force the school into academy status, Gove somewhat hysterically called his opponents “Trots” when questioned by the Commons education select committee in February 2012. I recall reading this and uttering an involuntary honk of laughter, rather like a dozing goose taken by surprise, because my recollection of the definition of Trotskyists wasn’t ‘People who disagree with the secretary of state for education and exercise their right to protest’. Extremist, rabble-rousing name-calling has always seemed to me to be the last refuge of the person who has been proved completely wrong and yet here is Gove again, trying to paint as an extremist anyone who has the temerity to suggest his ideas might be misguided. That he has lifted this soundbite from a book written in 1938 by Cyril Connolly will come as no surprise to all those who increasingly see Gove as a bit of an old fogey who longs for a world that didn’t actually ever exist. That the book criticises journalists (like Gove) as “the enemies of promise” as well as the author’s own education at Eton suggests Gove’s skills of inference need a bit of work. “Goodness me”, you must be thinking. “Did their letter suggest that poor children shouldn’t be allowed to go to school at all, but instead be sent up chimneys?” On the contrary, they argued that Gove’s new primary curriculum will stifle creativity via its obsession with lists of things children might literally die without writing down and learning by heart. Now, I don’t entirely agree with all the arguments put by this group – I don’t believe that the opposite of Gove’s daft, damaging list-orientated curriculum is one in which creativity necessarily blooms as a matter of course, although I doubt that they meant to imply this – but calling them some sort of reactionary name wouldn’t be my best plan if I wanted to be taken seriously on a national level. I’ve called Gove some things in my time writing about him, but I’ve never called him a fascist, a dictator or a totalitarian, even if I think he’s earned it. Certainly, there has been no previous education secretary who has so quickly, so ruthlessly and so brutally seized direct control of so many schools. He pretends, of course, that academies and free schools are ‘independent’, whereas the truth is that no school funded by the state can be independent. The secretary of state has the power at any time to step in and remove their sponsors and their governing bodies – and he’s proved it by doing so. It may be true Michael Gove actually believes that his reform of the primary curriculum is in the best interests of children from poorer backgrounds, though it’s hard to see how he can argue that attempting to fill young minds with enormous amounts of facts (which they will forget in an instant), many of them not terribly interesting to a child of primary school age, is the best possible way to ensure they are offered the full range of life chances. The last Labour government realised rather too late that the primary national curriculum does, indeed, stifle creativity and they sent round a half-baked attempt to encourage primary heads to crowbar creativity back into lessons via a publication called “Excellence and enjoyment”. It’s an inevitable consequence of detailing to a fine degree the curriculum for under 11s that teachers will teach all the detail at the expense of developing young minds. I wrote a piece recently in which I criticised the primary history curriculum for being crammed too full (some teachers have estimated that it would take the entire teaching week to cover properly all the topics within it) and described how my own primary education had consisted of lots of English, nearly as much maths with bits of art, music, PE and ‘topic’ work thrown in. That, Mr Gove, is how a class of 48 children of mostly working class parents left primary school able to write fluently, imaginatively and with great accuracy without the need for the scaffolding and general spoon-feeding without which today’s youngsters – who are taught much, but as a consequence learn very little – cannot write a paragraph. Here’s how to ensure that children from “poorer” backgrounds receive the education they deserve – at primary level, forget your notions of ‘facts they need to know’ and focus on ‘things they need to be able to do’. Unfortunately, I am under no illusions that Gove will ever listen to the likes of me, because he’s that most dangerous of politicians – he knows the price of everything and the value of nothing.